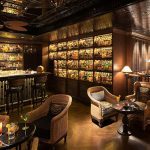 Today the highly anticipated The Siam Hotel on the banks of the Chao Phraya River in Bangkok’s Dusit district welcomes its first guests. In Bangkok’s saturated hotel market, newcomers need to strive to bring something new in order to attract more than a day’s worth of interest. 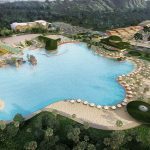 The Siam is bound to hold more than it’s fair share Bangkok travelers’ attention spans for some time to come, due in no small part to the introduction of Bangkok’s first private pool villas. The Siam is owned and operated by the Sukosol celebrity family of hoteliers and popular musicians. When rock singer and actor son Krissada Sukosol Clapp inherited 3 acres of riverfront land it enabled the fulfillment of his lifelong dream and provided a venue to showcase his extensive collection of antiques, which are displayed in each guest room and in public spaces throughout the hotel. 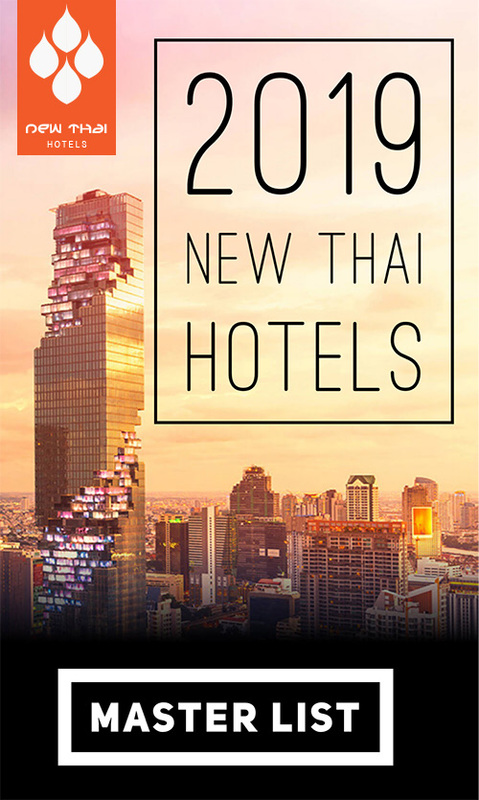 The Siam is a member of the Small Luxury Hotels of the World, and was conceived by owner Krissada, and designed by globally acclaimed architect, interior and landscape designer Bill Bensley, one of Architectural Digest’s Top 100 Designers and Most Creative People. See his portfolio of other stunning properties here. 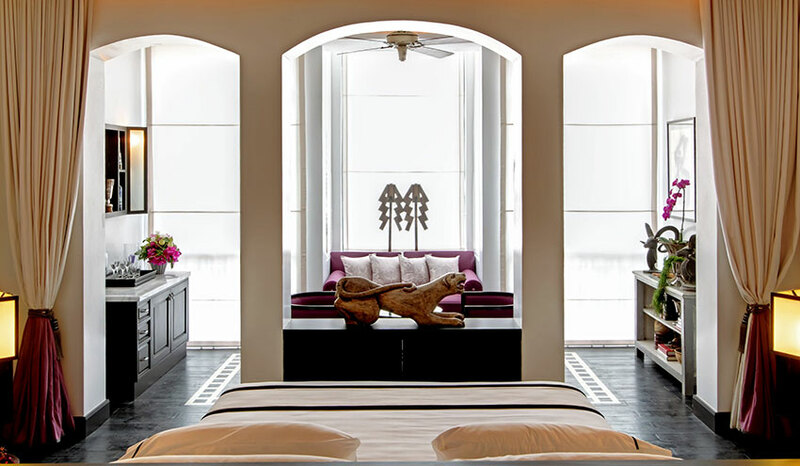 The all-suite Siam offers 39 suites and villas and is unique in a number of ways, not least being that ten of the suites will be Bangkok’s only private pool villas. All suites and villas have free Wifi (also throughout the hotel), and are attended to by a personal butler. 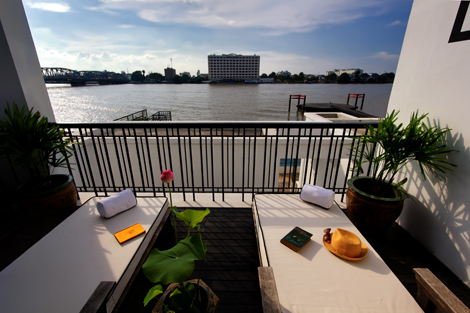 The main residence houses the 16 Siam Suites, six Mae Nam Suites and six Riverside Suites. 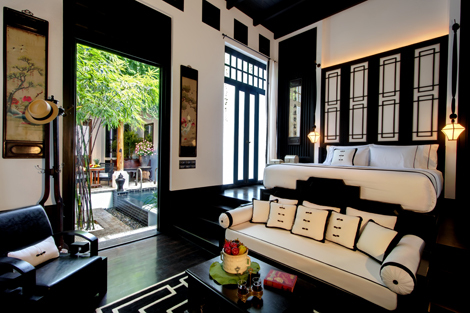 The Siam Suites shown above are 80 square meters and the Mae Nam Suites shown below are 90 square meters. Aside from the bedroom and living areas shown here, each of these suites also feature a separate sitting room, ideal for reading or perhaps taking some afternoon tea. Of course though, everybody wants to know about the private pool villas. What can I say? Absolutely stunning. The bedrooms feature antique French doors that open out onto your own walled in courtyard with private pool. 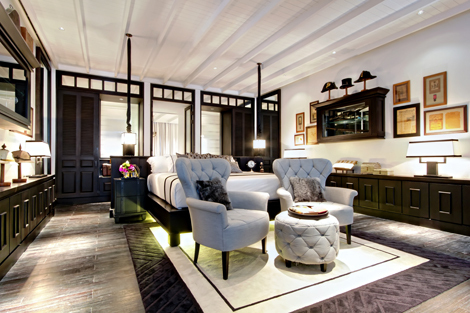 The pool villas are 130 square meters and offer some of the most luxurious accommodations in Bangkok with a true turn of the century old-world charm. 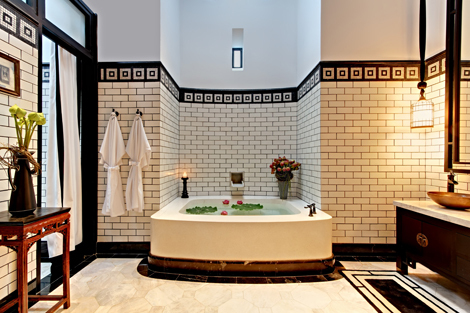 The huge, deep bathtubs with more than enough room for two are possibly among the biggest in Bangkok. A spiral stairwell leads from the courtyard to a private rooftop sun deck where you can watch life float by on Bangkok’s majestic River of Kings. Director of Sales and Marketing Donald Wong told me when I visited in April that The Siam is not in competition with other Bangkok riverside hotels as The Siam is more of a full destination. 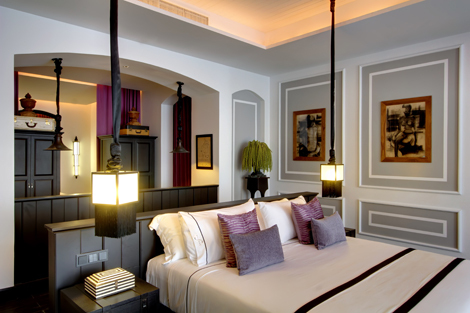 The Siam aims to attract guests for a medium term stay of between 3~7 nights, as opposed to one or two night stays. While it is advertised that downtown malls such as Siam Paragon are only 20 minutes away, in reality this is only in optimal times and with traffic it will more than likely take double that. 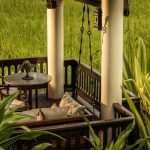 But if all you wanted to do was shop in Bangkok there are plenty of other options, but let’s face it, with such a stunning property, most guests wouldn’t want to venture too far away for long. The Siam provides a vast array of facilities and cultural programs to all but ensure you won’t want to go anywhere. For those guests not enjoying a private pool villa there is the riverfront infinity pool with jacuzzi beds and pool side bar. Nearby is a beautiful and tranquil yoga terrace with free yoga classes in the morning. The spacious gym features a full sized Muay Thai ring and the hotel offers three, five and seven day Muay Thai training courses. 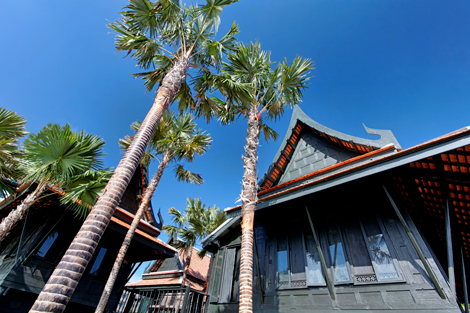 Guests can also enjoy Thai cooking classes on the riverfront lawn during the daytime and participate in one of the lectures given nightly in the screening room by a long list of guest speakers. Of course no reputable 5 star would be complete without a spa offering, and The Siam’s comprehensive and luxurious Opium Spa, which uses 100% chemical free products from Sodashi of Australia comes through, with a unique twist, a Turkish Hamman inspired bath house, again, the only one in Bangkok. Of course pampering does have it’s limits and once you feel the need to get out of your cocoon there is plenty to see and do in the historic vicinity of the hotel. The Royal Elephant Museum, Chitlada Palace, Vimanmek Teak Palace, the Throne Hall and Dusit Zoo are all only five minutes away. Within 15 minutes of The Siam you will find The Grand Palace, Emerald Buddha and Wat Po, home of the famous reclining Buddha, as well the stunning Wat Arun (Temple of the Dawn). Silom Road, Siam Paragon, BTS Skytrain and Chatuchak weekend markets are all just 20 minutes away. 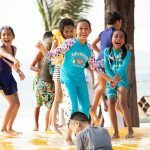 Other nearby attractions include Jim Thompson’s house, the Royal Barge Museum, Chinatown and Little India, and Suvarnabhumi International Airport is 45 minutes away. Now is a great opportunity to experience The Siam at soft opening prices- 50% off the usual rate. 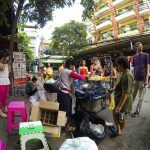 During the soft opening, from June 11 ~ July 15 2012, rates at The Siam will be half the usual rack rates. 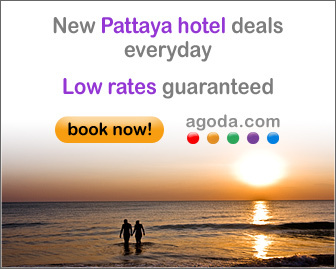 Siam Suites will be THB 8,150 reduced from THB16,300. This entry was posted on Monday, June 11th, 2012 at 2:17 pm and is filed under Openings. You can follow any responses to this entry through the RSS 2.0 feed. You can leave a response, or trackback from your own site.